I have been a big fan of cross-country, road-trip type novels ever since reading The Talisman, so I was excited to get my hands on this book. Fallow was some trip! The details of the incident that landed Mikey in jail are fed to the reader bit-by-bit, and the more you start to realize what happened, the harder it is to put this book down. Once I spotted the twist headed my way, I had to keep reading until I got to the end. I just had to know what exactly happened years ago, and how it would all end up in the present. This was a thrilling debut novel, and I’ll be watching for more from this author. Besides getting to read an early copy of the book, I had the chance to interview the author. I hope you’ll join me in welcoming Daniel Shand to The Book’s the Thing. Congratulations on the publication of your debut novel, Fallow. I’d love to hear a bit about your writing process. Are you a pantser or plotter? Or something in between? I think it starts with figuring out the tone or voice of the book and going from there, how it should feel and sound. Once you have that down—and down well—it makes the rest of it much easier. Do you have any particular writing rituals that you adhere to, or unique methods of overcoming writers’ block? Self-imposed deadlines help, so does trying to forget about writers’ block as a concept. When did you know you wanted to be a writer? Have you been able to devote yourself to writing full time? I haven’t sold a single book yet, so unfortunately no to your second question. I didn’t begin writing until I started to study literature—that was when I had the notion that it was even possible. I go to the cinema a lot, to the pub with friends. I listen to podcasts all the time. I need cut down on that I think. Although I read a little bit of almost everything, mysteries and thrillers are by far my favorites. How about you? Which genres or authors do you like to read? Are there any books or authors in particular that you’d say have influenced your desire to write? I don’t tend to limit my reading to any particular style, though the books that stick with me tend to have a sense of humour and a certain darkness to them. 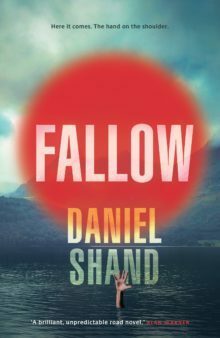 Now that Fallow has been published, what can we expect to see from you next? Do you have something else already in the works? I’m working on something about a mother and daughter. That’s all I can say for now. Daniel Shand is a writer based in Edinburgh. He was born in Kirkcaldy in 1989 and has lived in Edinburgh since 2011, where he is a PhD candidate at the University of Edinburgh and a Scottish literature tutor. His shorter work has been published in a number of magazines and he has performed at the Edinburgh International Book Festival. 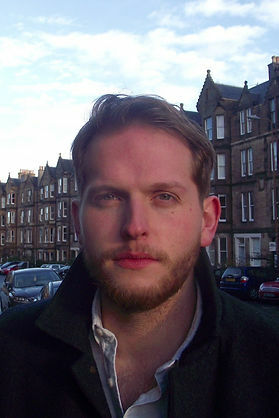 He won the 2012 University of Edinburgh Sloan Prize for fiction and the University of Dundee Creative Writing Award. NOTE: I voluntarily read and reviewed an advanced copy of the book. Good interview and review. Sounds worth the read.